Advanced Stone Works specializes in granite countertops, quartz countertops and marble countertops. We fabricate and install kitchen countertops, vanity countertopstops, fireplace surrounds, fireplace hearths, and more. Because we specialize, we are able to buy in bulk and pass the savings on to you. 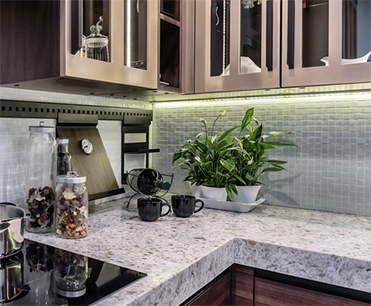 Granite countertops are among one of the most popular kitchen upgrades, and they make a great upgrade in a bathroom countertops remodel as well! 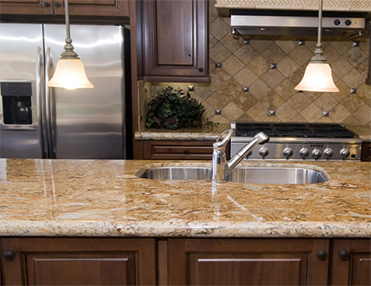 New granite countertops will not only look great, but they will also add value to your home. Quartz countertops have the look of natural stone, but they are engineered in a factory from approximately 94% quartz and polyester resins. 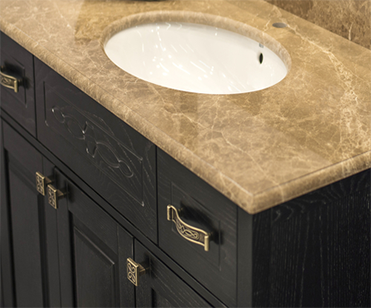 Since they are engineered, quartz countertops are non-porous, giving them an advantage over natural stone. They never need to be sealed. Marble countertops and marble fireplace surrounds are simply stunning. Be prepared, though. Marble is softer than granite and quartz, and may scratch or chip more easily than granite countertops. Call Advanced Stoneworks today at 251-408-7818 to schedule an in home estimate or stop by to choose from our large collection of Granite, Quartzite, Marble, Quartz (Engineered Stone), Soapstone, Limestone Travertine, Onyx, Natural Quartz and more to satisfy your needs for new kitchen countertops and vanity tops.